Let’s get the fine print out of the way first. Miss Linda (no, that’s not how I’m satisfying the challenge, although, technically, it does count) decided to come back from Japan with a vengeance. Your Friday prompt for Stream of Consciousness Saturday is: “miss.” Use it any way you’d like. Have fun! I don’t know why, and I don’t know what it’s supposed to mean. I do know that we had a good laugh and the word has been veggibles ever since. Late last year, I suggested that if she would buy me gummy veggibles, that I would take them. She refused. Gummies are for children. Then she found adult male gummies. She caved. Better, I guess to have a healthy husband who acts like a child than a husband you have to take care of because he’s always getting sick. Two of these, each and every day. These are like candy. I could eat the whole bottle. I know that veggibles is a mistake, but I want to call it a malapropism. It’s like gummies, I just want to use the word. I’m not sure if veggible sounds enough like vitamin to be considered a malapropism. I know that it isn’t included in the book I received for my birthday: “Going to Hell in a Henbasket” I asked for that book after reading Sammy’s blog series about it. I miss Sammy. She’s still around, but she seems to have taken an extended vacation from blogging. Maybe talking about her will coax her back out into print. Anyway, back to misspeaking. Veggibles isn’t the only made-up / messed-up word we have around here, and it isn’t the only time aliens trained in the English language would be at a disadvantage when eavesdropping on my wife and me. The stuff I wanted her to make is a turkey and noodle casserole that I simply love. The stuff that she makes it with is Cream of Celery soup. She didn’t actually have any of that soup, but she said that she had celery and cream, and some other vegetables and vegetable broth, so she could make cream of celery soup. That was a bit of a mind-bender for me. She had the stuff to make the stuff to make the stuff I like. That’s like making air or making water. You can’t make basic ingredients. That’s like making numbers before doing math. I use that as an example because in some programming languages, numbers are part of a class of immutable objects. They exist, but you can’t mess with them. You can add 1 + 2 to get 3, but you can’t redefine the plus operation, the way 1 gets added to 2, so as to have it work out to be 1 + 2 = 4. It may not come as a surprise to you to learn that I spent most of my computer programming career working with a language that would let me do that. If I wanted to, I could redefine the ‘+’ operator. I never did, but I liked the fact that I could. Living with me might be a challenge for my lovely editor, but it’s not mission impossible, she’s got the necessary stuff. I love the image of the spell checker shaking it’s head! Mine must do that all the time. Thanks. It’s good to know I’m in good company. Word must have some of my mistakes on speed dial. I just keep making them. God bless her patience!!!! You are a handful, Dan!!! But I can still reach the top shelf and lift heavy stuff. Thanks for stopping by over here today. You have proved your worth by stretching, Dan – good going! It’s always fun being here!! Mmmm, that sounds pretty good. A little early, but… Thanks. LOL. Who cares about “miss” — I got such a kick out of the gummy vitamins/vegetables! I’ll be laughing about that for a while. Great post Dan. Hugs! The gummies are working. It’s the first time in my life that I am voluntarily taking vitamins. Thanks for the comments and tweets Teagan – you’re the best! Back at ya. Happy weeeknd! Teagan is right: You call vitamins veggibles because they make up for all the vegetables your lovely editor can’t get you to eat. Well played, DAntion, well played. Thanks John. Unfortunately for my wife, I don’t think the canned stuff will ever work again. Thd homemade stuff was amazing. That’s what I love about family. They know what the “stuff” is, even without being any more verbal and vague than that. Great post. Love the humour and you made my head hurt there for a while, but that’s because I am bad with numbers. 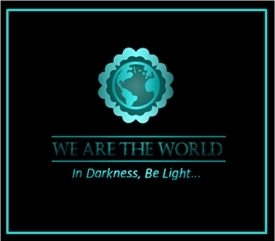 Better with words, thus my participation in this blogging thing and in SoCS. Thanks. Sorry about the math but, every now and then I try to engage the techies in the audience since that’s where I still make my living. But seriously, would math be easier if you could Chang the rules? I’m terribly sorry, Dan. I was enjoying your post, but then once you said that your wife made the cream of celery soup herself, I forgot everything else you’d written. I’m very much a “from scratch” type of girl. I have heart palpitations when I see how many things are premade or come in a box (boxed brownie mix — how is that even a thing??). So when I hear about someone making something themselves like this? Just warms my heart. If Mrs. A had her own blog, I would read it. Dan, do you have a recipe to make scratch from stuff ? the stuff you are talking about almost makes me want to think about gardening stuff. you know where we recycle the scratch made from stuff and it comes out pretty stuff. not pretty stuffed like a turkey. more stuffed pretty like a peacock. maybe even better than a peacock with more pretty stuff. now what goes in a cipe before it is re-ed ? so does she remind you to eat your veggibles daily ? how long till your word is an entry in the OED ? if they were pills rather than gummies veggibles would roll off the tongue much more readily ! though it still has a very nice ring to it ! I’m starting to OED petition now. She does ask me “did you take your veggibles?” Interestingly enough, my iPhone recognizes it now. So glad I didn’t miss this post and also glad your wife had the stuff to make your stuff. What a hoot! Thanks Lois. She always has the stuff. Since gummies are my favorite kind of candies (with licorice) I don’t blame you for trying to skip the real veggies with them. Since I don’t like vitamins but love veggies, I’m fine. I feel for your wife, though, since my own husband is not a veggie man either. Fun post, Dan. Oh, I love licorice! I do eat a log of veggies but not enough I guess. Thanks for stopping by. Licorice and licorice eaters rock! Well you know I love fun with language! Years ago, a woman at a party told me about all this hidden oil in processed foods and although I wasn’t buying a lot of the products, my top offenders were pudding in a plastic cup and cream o’ soups. Yeah, so I don’t buy that stuff anymore. I’ve no doubt that the stuff your wife made to make the stuff to make the stuff you like tasted a whole lot better! I came up with ‘mis’ words, too. Then I just got sad, because miss goes more with “miss my daughter” and “miss my mother.” Ugh. Her stuff was way better than the cream o’stuff. The second S really did derail my first idea. Oh well, I guess I have to learn how to spell. LOL! The “stuff” conversation and thoughts about your wife actually making “the stuff” were hilarious. We have a few malapropism’s in our family too. Daughter only takes vitamins in gummy form. It took me until I was in my 50s to get ‘accommodate’ right. I have high hopes for ‘necessary’ but I’m leaning heavy on spell check for now. Thanks fro dropping by. Thanks Chryssa. My daughter worries that she won’t be able to tell if/when we get senile, but it works for now. Thanks for the comment about humor. I try to work it in where I can. I think you can be serious and still entertain (not that I was trying to be serious today). I love this post, Dan! I must look for these gummy vitamins for men (veggibles) you speak of – a vitamin my husband may actually be willing to take! And I immediately thought of Sammy when you mentioned “malaprop”. I miss her, too. Thanks Deborah. I’m being a good boy. So if I eat my gummie, do I get out of having to eat asparagus? Please say yes. Yes. I actually like asparagus, but you’re now free to ignore it. My kids take “gummies” made by a company called Juice Plus. JP takes vegetables and somehow dehydrate them, put them into a paste with some natural sweetener. I love these, Dan! I have been an “adult” user/taker of the FDA approved nutritional supplement. I swallow one which has over 25 fruits and one which has over 25 vegetables in it. But when given a choice, I probably would eat my gummies instead of swallowing. So, in other words, I understand. Thanks for the comment. Go gummy! STOP!!!! My belly is aching ’cause I am laughing so hard. Gasp! Good grief but you are really funny!!! Hehehehehehe …. LOL LOL Good stuff, Dan. And I’m not talking about the stuff to make the stuff, although that stuff (aka casserole) sounds mighty tasty. I love your newborn malaprop and knowing you received that fun book AND hoping you’ll write some more fun malaprop posts. Thanks Sammy. It’s so good to see you in my inbox. I asked for that book after you wrote your series, but then I forgot. When I got it on my birthday, I said: “Oh, this is so cool. One of my blog buddies mentioned this book.” Then my wife and daughter looked at each other and shook their heads. Maybe you should start a new trend of posting photographs of your written entries. Old school meets the new frontier. Either way, if I don’t hear from you in some form, I hope you have a wonderful holiday season. I will certainly be reading and commenting to stay connected with my blog community, not least because of the enjoyment I receive from your thoughts, photos and ‘turns of a phrase’. Stay healthy and take your veggibles! Funny how I also thought I knew so many “miss” words only to realize they are almost all one “s” less. Then I remembered a word I first came across in high school. “Missive”. Used by a classmate in a letter to his girlfriend. ” . . . as I sit ensconced here under these opulent roofs jotting this loving missive . . .” That’s what he wrote, word for word. I remember. I could not contain my laughter! The Grammar teacher later heard about it and joked about it at the general assembly. He explained the meaning of “grandiloquent” and said that a person could not really “feel” grandiloquent, especially in a romantic sense. The whole school just burst out with side-splitting laughter. I still do not know whether those girls were ever impressed at all. The ones that wrote back used to be very poor in grammar. Mixing tenses, omitting prepositions or using the wrong ones, etc. But, I was told, the best thing was that they wrote back. I did make some pocket money, though, helping guys with their letters. Once they realized I could do it well, even excellently, they swarmed me. And I charged them for it. That’s funny that you had a side business helping guys try to impress women. I’m not sure what impresses women today. If it’s good grammar, I’m in trouble. Thanks for the comment Peter. I always enjoy seeing you pop up in my comments. But as Arlo Guthrie once said in “Alice’s Restaurant”, that’s not what I came to talk about today. Besides, the whole idea is SoC, right? Well, it’s overcast out as I write this. Might rain. And here I am without an umbrella. You know why that keeps happening? Because I use them! They’re nice and dry, all folded up, waiting in my work bag or car. Then comes the rain. Ha! Ready! I use the thing … and now it’s wet. I set it out to dry. Can’t be indoors, of course, or any place handy or useful. Oh, no. It’s wet! So you put it on the back porch or a garage. And the next time you need it, well. There it is. Too bad you’re far away. Hmm. That wasn’t all that fun. You’re right about Linda! I always wonder how editors react to SoC writing in the first place Paul. Linda does allow grammatical edits, but you can’t push it into word choice (that’s my interpretation). Smart devices, wet umbrellas and its vs it’s – quite the complex comment but I love receiving it and I really appreciate the time you take to comment. Ha! Hope it’s welcome. I know I can get a bit long-winded and/or far afield. It wasn’t torture, but I do imagine you have a Snidely Whiplash kind of laugh sometimes when you tell us to “have fun.” I’m sorry, that’s probably not fair. 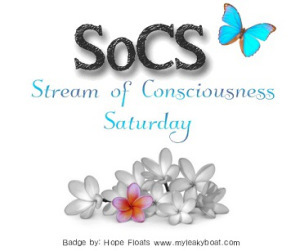 I do enjoy SoCS very much. I’ll imagine it that way :) Have a great weekend. I believe this comment should’ve com early, but all December I was stuck with work. So I am reading all your posts in a one shot. I never really heard of such a thing in the market in India, but I believe Indians would stick to eating vegetables than such products. I’ve known many Indians who prefer pure Indian food compared to American or European cuisines because we believe our food provides a complete range of nutrients. Have you ever tried any Indian food item before? It’s good to see you back Sharukh! I have tried Indian food, or what some restaurants around here offer as Indian food. I liked some items and I didn’t care for others. We don’t have a restaurant near us, so I don’t have it often.